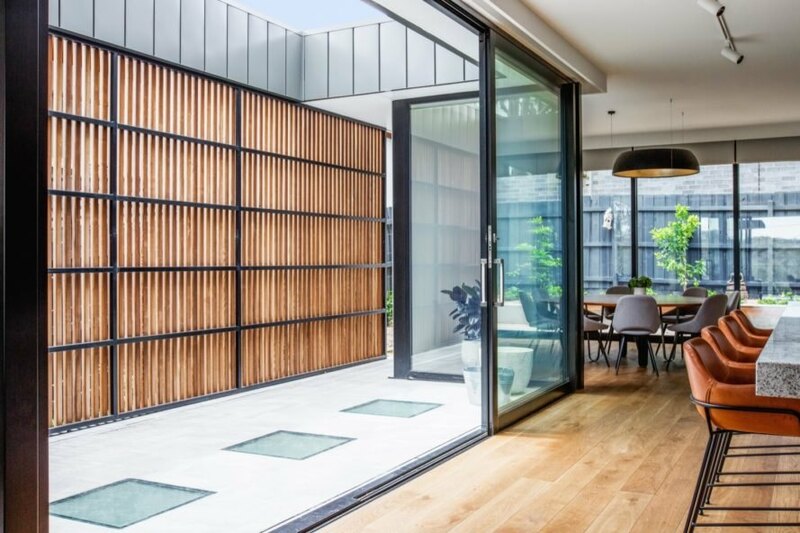 When local design studio Jost Architects was approached to design a home in Kew East, Melbourne, the firm not only navigated a challenging, complex site, but it also designed for multigenerational living that wouldn’t feel claustrophobic. The result is an adaptable 358-square-meter home spread out across three floors and designed to harmonize with its surroundings. 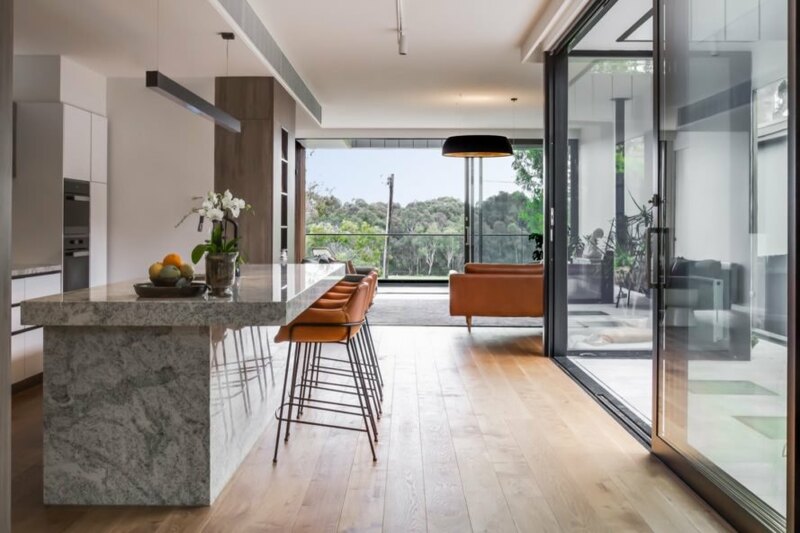 Moreover, the Kew East House was also crafted with a reduced energy footprint thanks to the use of passive solar principles and solar photovoltaic panels. 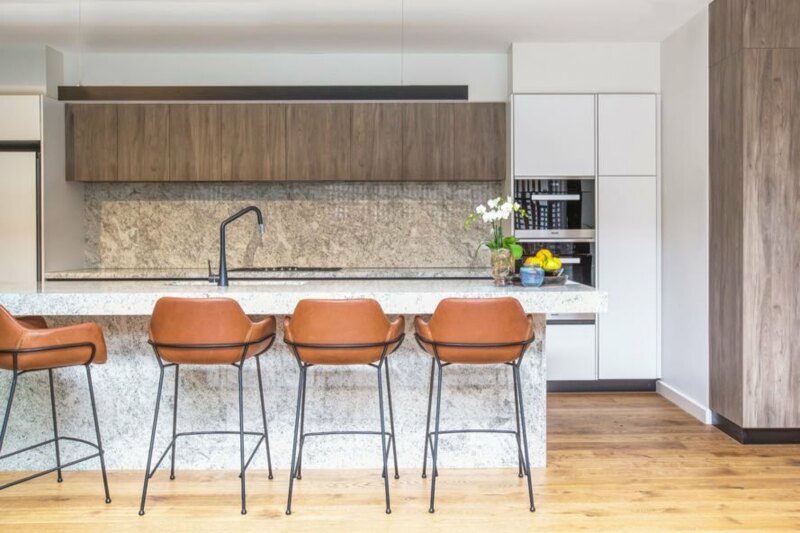 The clients, a couple with teenage children and a dog, Timba, asked Jost Architects to create a multigenerational home in anticipation of when the grandparents, who currently live overseas, move in in the future. 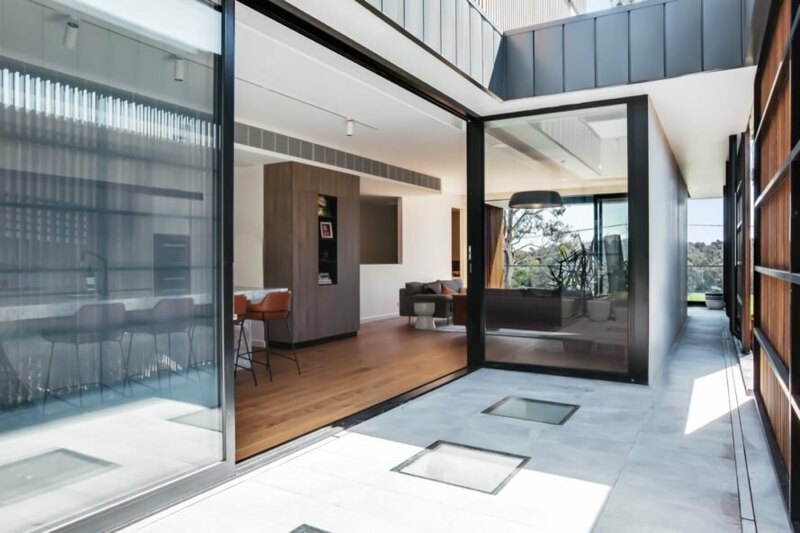 To accommodate the clients’ elderly parents, the architects designed an internal granny flat on the ground floor next to the garage. Above, the first floor houses the master bedroom and main living areas. The two children’s bedrooms and a rooftop balcony with sweeping views of the park to the city are located on the top level. 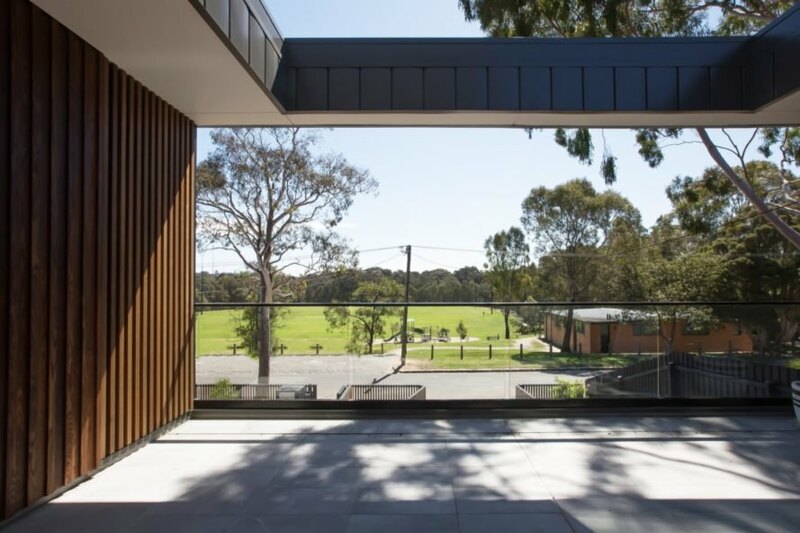 Natural light floods the interior through thermally broken windows and multiple skylights, while Melbourne’s intense heat is kept at bay with deep eave overhangs, external sliding and fixed timber batten screens as well as operable glazing that allows for cross ventilation. The Kew East House is powered with a 4.95 kW photovoltaic system. 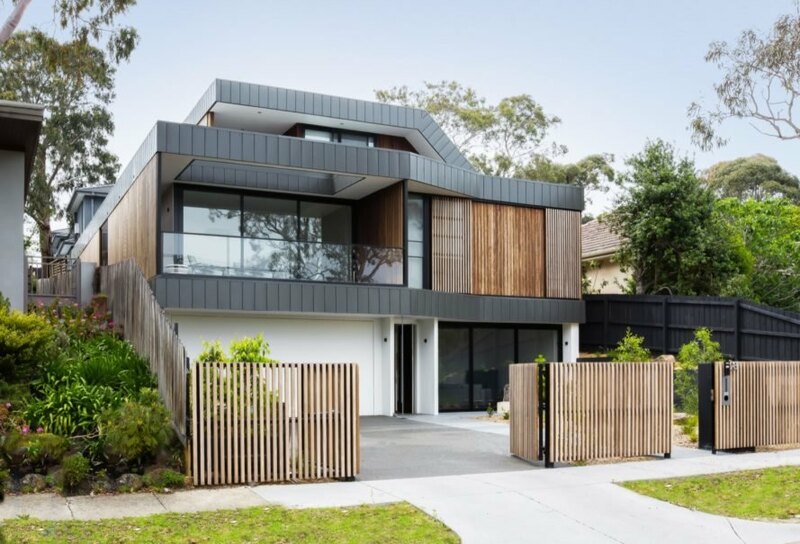 Jost Architects designed this modern home in Melbourne for multiple generations. The home was commissioned by a couple with teenage children and a dog. The family will also welcome the grandparents to move in in the future. Passive solar principles were incorporated to mitigate the area's intense heat. The interiors are dressed in muted, contemporary colors and materials. The home comprises three floors for the family. Operable glazing embraces indoor-outdoor living. Skylights and large expanses of glass brighten the home naturally. The top floor features a covered balcony with sweeping views. The home is powered by solar.